Tamil Nadu Sericulture Department has issued a recruitment notification to recruit Junior Inspector and Assistant Inspector of Sericulture posts. 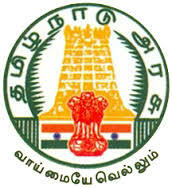 Candidates who are eligible and interested they can apply online mode by visiting official site of Tamil Nadu Sericulture Department at www.sericultureexam.com. Who are preparing for these jobs they should check how to apply, recruitment process, salary, previous question papers, solved question papers, syllabus in Tamil and more info is given below. Educational Qualification: B.Sc (Chemistry/ zoology) with 6 Months work experience or PG Diploma in Sericulture. Pay Scale: Rs.9300 to 34800 Grade Pay 4200/-. Educational Qualification: SSC or equivalent with 6 months works experience or 6 Months Training course in Sericulture. Keep visiting for more updates like Answer Key, results, selected list and more.